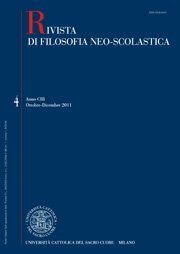 Nel bicentenario della nascita di Søren Kierkegaard (5 maggio 1813), la “Rivista di Filosofia Neo-Scolastica” celebra la sua opera con il numero monografico Comunicare l’esistenza: la singolarità e i suoi linguaggi. A 200 anni dalla nascita di Søren Kierkegaard. Il volume (3/4 2013), curato da Ingrid Basso, raccoglie più di trenta contributi dei massimi esperti internazionali e si segnala tra le iniziative editoriali più significative nell’ambito della ricerca kierkegaardiana. Questi alcuni degli interrogativi sollevati: Come è possibile comunicare, condividere la singolarità dell’esistenza? Può un’esistenza singolare avere un significato universale? Quali sono i limiti e le potenzialità del linguaggio filosofico? Come ha affrontato Kierkegaard questo problema nella sua produzione sfaccettata e originale, con quale tipo di linguaggio e, soprattutto, con quale obiettivo? Kierkegaard’s communication has always been evaluated from the division established by the author on his work between direct and indirect communication. We’ll try to determine how such division is wholly inadequate to analyze the communicative praxis rather Kierkegaardian responding to a clear will to isolation, secrecy and anonymity, based on his peculiar conception of following Christ as Master. This practice encourages isolation and has in the interior its cloister and its place, its referencial world. However, the tension in Kierkegaard’s Christology (between subjectivity and objectivity, between a spiritual God and a historical God) will mark decisive his full communicative praxis. Kierkegaard’s literary activity is conceptually based upon the problem of existence and its communication. In order to show its philosophical consequences, following the Concluding unscientific postscripts – unique Kierkegaard’s work that is subtitled "existential essay" – I will underline the bind between existence and inner being and I will show how the considered problem reflects the structure of existence because of its "mimic-pathetic-dialectic" nature. After showing the concept of existence and ‘here and up there’, and articulating the pathetic-dialectic issue, I will underline the mimic element discovering that the answer to the question about the possibility of a communication of the existence will remain ambiguous. This ambiguity will be called ‘ambiguity of 2’ and will be discussed in its core. In the introduction of his translation of Plato’s work, Schleiermacher argued that Plato, though the literary genre of his own creation, would succeed in thwarting the evils of writing (which Plato himself exposed), and would use it as a maieutic device. Actually a dialogue, unlike a treatise, does not convey outcomes, but – Schleiermacher states – urges the reader forward independent reflection and, at the same time, guides him. Kierkegaard with the play of his pseudonymous works (together with the direct communication of his religious speeches) means to urge the single individual into an existential standing, pulling him up from the impersonality he has sunk into, and meanwhile guiding him. The analogies between the two cases are so strong that it might even be assumed that Kierkegaard had been inspired by Schleiermacher’s interpretation of Plato, which he was familiar with. Kierkegaard analysed literary and editorial practices of his time in a way that helps us to have a better estimation of our own practices in this area. Here is an example: prevailing talks are self-centered and self-satisfied; by publishing his Prefaces, Nicolaus Notabene shows how these prevailing talks are vain and pointless. But he shows also how such an ironic writing dynamically leads the way to a personal decentration and to an intellectual sobriety able to unblock an empty space (but, this time, in the favourable sense of the word «empty») from which a decisively new relationship to the Whole-Other may be instituted. From this propaedeutic outlook, Socrates’ maieutic questioning remains the essential reference. trusts in a providential and merciful God, and lives every day joyfully without being overwhelmed by bourgeois cares for tomorrow, in the last works Christianity is exclusively suffering and martyrdom. To communicate existence means first of all to create men as free and responsible beings. It is the work of the omnipotence of God, who creates men and recreates them in Christ. However, as free beings, men can and must correspond to divine action. Human freedom is an historical status, amongst other things, and is lost or conjured through action. The history of the individual is the history of responsible freedom and of faith, which is accomplished manifestation of freedom itself. Since men relate to themselves and to God, but also to the whole complex of the human world, to correspond to divine action means also to stimulate an analogous response in other men through the most appropriate communicative forms, all of them aimed to promote responsible freedom in each individual. This is first of all manifested, after Socrates’ example, in an existence coherent with one’s own convictions. participation of the ultimate. The future as finite figure of the eternal makes the life in the present authentic. As a religious thinker Kierkegaard explores the possibility to communicate the paradoxical truth of Christian faith. The aim of this article is to show that the Bible has considerably influenced Kierkegaard’s communicative strategy. In For selfexamination (1851) Kierkegaard considers some biblical episodes in which the sacred authors conceive communication as a strategy to involve the reader into the holy history, so that the latter can take fully responsibility of his own existence before God. Furthermore, the biblical narrations of Abram and Job, paraphrased by Kierkegaard, can be interpreted as exercises of communication of existence, in which the single one communicates the paradox of his own condition by assuming an indirect way of communication in order to transmit what otherwise would be nullified by a direct expression; while the receiver makes experience of the paradoxical truth by reading and reading again the story but without ever fully understanding its meaning. La magnifica storia di Abramo in "Timore e tremore"
Kierkegaard’s Fear and Trembling was published in 1843 under the pseudonym Johannes de Silentio. In this work the author enquires about the history of Abraham, the father of faith. The polemic background of the writing consists in the interpretations given by the commentators, historians, and philosophers of that time, who connected the concerned events to a completely out-of-date past. In this close confrontation with the Bible and its interpretations, the Philosopher addresses the conditions necessary for an effective understanding and transmission of the story: empathizing with its characters; trying to become their peer; the subjectivity of interpretation, in contrast with the asserted objectivity of the scientific approach. These topics are to be dealt with in the author’s later works. Nevertheless, that of Abraham is a story that keeps awake and doesn’t allow going beyond, hiding as it does a paradox neither comprehensible nor fit to be told. The complex dialectical lyric strategy employed by Johannes in order to get to know it and make it an object of communication is thus still to be highlighted. The paper examines how the changing cultural place of religion impacts on questions of translating Kierkegaard. Examples include the changing role of the Bible and the advent of new biblical translations as well as increasing unfamiliarity with key terms from the vocabulary of Christian teaching. Here questions of translation become inseparable from theological interpretation, but this in turn involves issues that are increasingly obscure to secular readers. because of the lack of confidence in the Bible; however, it is not irrational because if the contradiction is present in the understanding of faith rather than in existence it is supra-rational. For the Ashʻarite, however, faith can be made rational and justified through the command and guidance of sharʻ in order to find sound reasoning. Reason has no contribution in Kierkegaard’s theology neither as a sine qua non nor as a sufficient condition. For the Ashʻarite, nonetheless, reason is a sine qua non but not a sufficient condition and is in need of sharʻ. Reason, in Ashʻarite theology, both fails to penetrate into all of the premises of the argument and falls short of binding man to accept its knowledge. It is sharʻ which comes into play in order to help reason both improve its objection and compensate the binding and obligation. The following article deals with the existential dialectic between singularity and universality in Kierkegaard’s philosophy of religion. It critically engages John Caputo’s and John Milbank’s readings of Kierkegaard as a philosopher of universal religiosity and of Christian singularity, respectively. From a more constructive point of view, this study additionally articulates a possible interpretation of Kierkegaard’s Christianity along the lines of hiddenness, interiority, and universal relevance. well as the limits of a philosophical language. This essay analyses some religious categories in Kierkegaard, above all the category of sin as refusal of love (refusal of love for the neighbour). The author thinks that from this event a dialectical-existential process can start, arising between despair as repentance and hope in divine forgiveness. This process can eventually lead to the act of love, which is the positive acceptance of the God’s commandment to love one’s neighbour. This act is the only real expression of faith, the ‘second immediacy’ fuelled by the infinite dialectic of sin. The human love is therefore read as perpetual atonement and springs from the painful balance between despair because of the sin and hope in the divine forgiveness. be the primary text discussed in this article, Kierkegaard defines the emotions as a telegraphic report of what lies within a person. For Kierkegaard, emotions do consist of reactions to external circumstances, but at the same time the psychological and physical constitution of the person who reacts is decisive. In emotion, the significance of events manifests itself outwardly, which is why emotions reveal aspects of personality that would otherwise remain hidden. In what follows, we shall look at joy and sorrow in particular, and at what these emotions reveal about a person. Heidegger's 'indirect communication': does Heidegger appropriate Kierkegaard's 'method' in "Contributions to philosophy: of the event"? This article addresses the nature of ‘indirect communication’. Focussing on Kierkegaard’s Point of View, this article argues that the self-undermining and seemingly inconsistent nature of this text reflects a deliberate blurring of the origins and authorial intent of the whole authorship, including the pseudonymous and the veronymous authors. It goes on to suggest that an apposite model for understanding the irony, multiple voices and subversion may be both deconstructive and polyphonic. Moving to Heidegger, it is implied that, although a direct historical influence is not established (this would be unnecessarily reductive) Heidegger has a kind of methodological confluence with Kierkegaard in terms of this deconstructive- polyphonic model, particularly in Contributions. The concluding section suggests (but cannot here satisfactorily prove) that this may be extended to other areas in which their works resonate, particularly their critiques of metaphysics or ontotheology. Comunicare il soggettivo "nel medium dell'oggettività"
The papers focuses on the methodological role played by Kierkegaard’s thought in the work of the Swiss psychiatrist Ludwig Binswanger (1881-1966). The conceptual tools worked out by Kierkegaard, indeed, give an important contribution to solving the main problem that Binswanger sees in the clinical psychiatry at the beginning of the 20th century, that is, the need to understand the «deepest intimacy» of the subjectivity «in the objectivity by which and in which it consolidates». Kierkegaard’s «leap», as such leap does not involve for the individual a safe and peaceful arrival in the religious that is completely free of ethical and aesthetic repetition as evidenced by Abraham in Fear and Trembling and by Kierkegaard himself. it be extended to all men and women?». The answer is yes. The cause is the spiritual condition of man, which allows him to stand in front of God. Kierkegaard’s attention for the "single individual" doesn’t imply any individualism or incommunicability, but the acknowledgement that all men, as "single individuals ", are able to exercise "the art of existence". In Either/Or "the building" is equally attainable for all; in the first of the Two Upbuilding Discourses 1843 the "victory of faith" implies the equality of all men; in Philosophical crumbs is asserted that men of every time are all "contemporary" of the Christian event, and in The Concept of Anxiety the "original sin" is committed by every man. In the Concluding Unscientific Postscript the task of "becoming Christian" is equally "difficult" and equally "possible" for all; in fact, the "communication of existence", definition of Christianity, can’t tolerate a "more" and a "less", but helps every man to become self-conscious in front of God. The equality of all men is the main theme and the hermeneutic cornerstone to understand Kierkegaard. The problem of "communication of the existence" crosses the whole literary production of Søren Kierkegaard through the twofold intersection of Truth/Life and Writing/Action. The duplicity of these poles reflects the contraposition between being and thought that Kierkegaard paradoxically tries to solve by showing their common origin in the being of the inner subjectivity. The famous motto "truth is subjectivity" means actually that the contrary of the truth is not "falsity" in a logical sense, but the "not being" in its meaning both theoretical (the not-being is not, and in this sense it is simply unthinkable), and practical, i.e., the not-being as absence of the balance in the Self (as relationship between infinite and finite, temporality and eternity, freedom and necessity). The movement described by Kierkegaard’s literary production from the aesthetical, through the philosophical, to the religious, shows in a way the different positions of subject towards actuality, whereas instead of Thought is more correct to speak about "subject" and instead of Objectivity "actuality" presents a metaphysical richness that the objectivity does not have. Individual does not have synonyms such as being isolated and detached. In order to avoid this misunderstanding, it is decisive to ponder on the place of existence. In a paradoxical way, the courage «of being a man among men» brings Kierkegaard to state that the «real great man, is the real common man». The choice of the individual does not coincide thus with an escape. And the common world of men is not necessarily a place of reprobation. This legitimates as much as a research on the phenomenology of places, and a focalization of the background tension that sustains it; as well as the inextricable relation between place and existence, on which we focus on. The purpose of this paper is to illuminate the somewhat neglected role of origineity (Oprindelighed) in Kierkegaard’s writings. It traces the use Kierkegaard makes of this term and its relation to ontology in general and to anthropology specifically. The enquiry points out that the proper relationship to origineity is what Kierkegaard calls repetition, reduplication or in several instances «the second time». Characteristic for these concepts is that they mark a change in ontological status of entities. Without this change entities have no genuine being. The analysis shows also that Kierkegaard attributes this lack of genuine being to the loss of peculiarity (Eiendommelighed) which makes entities irrecognisable. Moreover, it is shown that Kierkegaard rejects the idea that entities are defined in terms of distinctiveness. Rather, as Kierkegaard holds, they are defined in relation to their origineity. Ever since the Concept of Irony, Kierkegaard seems to state the importance of dialectical thought, and namely of the dialectical, subjective thinker, taking Socrates as his main model. This distinction is made in order to harshly criticize the conception of Hegelian inspiration, which seems to assert the importance of the image of the objective, speculative thinker. Upon reading the Postscriptum, we may see how Kierkegaard resumes his critique of the speculative model, which, according to him, is a model ranging from Plato to Hegel in the history of philosophy. In Plato and Hegel, however, there is also a stress on dialectical thought, which nonetheless ends up leading to objectivity. How, then, does Kierkegaard depart from dialectical thought so as to assert the subjective? How can his position avoid arbitrariness while bordering on the theme of the subjective? Therefore, the aim of this article is to follow these threads so as to shed some light on these stimulating questions; questions which, to this day and age, still interest Kierkegaard scholars and those who take an interest in the discussion of the themes of subjectivity and objectivity. In order to do so, we shall dwell on a specific interpretation of the topic in the Concept of Irony and the Postscriptum. Irony in Kierkegaard is usually portrayed as a rhetorical resource on the service of the work. This paper proposes an antithetical reading, according to which Kierkegaard’s work be interpreted as a rhetorical resource on the service of irony, such as this is introduced in On the Concept of Irony, i.e., as absolute negativity that annihilates any speculative aspiration, thus leading the individual to an ethical obligation with her own self. Understood in this way, Kierkegaard’s work would be an attempt to write irony in order to turn the discourse to an ethical direction. On the basis of Hegel’s notes for a series of lectures on The Dialectics of Ethical and Ethical-Religious Communication the author investigates Kierkegaard’s strategy of indirect communication. He argues that ethical communication makes use of the aesthetic as its privileged form. In line with Kierkegaard’s own hesitations he shows how, as a consequence, ethical communication might destroy itself, resulting in a demonic relationship to the addressee of the communication. trajectory of the errant ship in that famous Shakespearian drama. but also filled with fantasy and unachieved wishes. Readers of the immense bibliography written on Kierkegaard and his pseudonyms are well acquainted with the number of recent, and former, attempts to reduce the multiplicity of authors, styles and topics of the Danish philosopher’s production to some type of unity. I begin by summarizing the main arguments of a curious example going in that direction. The second part of my essay deals with diversity and heterogeneity in Kierkegaard’s works in their opposition to such reductionist attempts, and the last section puts forward a concept of singularity that will hopefully shed some light on how to deal with the plurality of problems of our author without recurring to artificial unifying procedures. Kierkegaard's printing errors: on a curious passage from "Stages on life's way"
While the indirect communication is a well-known ‘signature piece’ of Kierkegaard’s writing, this paper explores the ambiguities which this medium necessarily carries – the deception, mistake and mis-reference at work throughout his expression of authentic singular existence. The paper takes a cryptic passage from the book Stages on Life’s Way, where the reader is asked to consider a list of printing errors found in a book which contains a more expressive reading than the book it corrects, as a means to explore the role of such errors within the idea of indirect communication. It suggests that focusing solely on the distinctive and original ‘philosophical’ meaning of the passage is overly-reductive to the creative possibilities of error and reproduction that Kierkegaard’s work opens, and in particular the ways in which these reflect the ‘pseudological’ ground upon which indirect communication takes place. As the first text of Stages of Life’s Ways, In vino veritas is not the most quoted text by Kierkegaard. However, its study can teach us a lot on the pseudonymic method, the expression of aesthetics, but also on the way, after Platon, in which Kierkegaard transforms the banquet into a place, or a climate of a speech on truth. This article will locate this unknown piece of writing, will remind the point of it so as to explain its role in the existential topology and will propose an interpretation from its speech and rhetorical devices. This way, it aims at defining some modalities in the style of atmospheric writing proper to Kierkegaard, and through which existence is being communicated. Kierkegaard is a thinker who appropriates and weaves fairytale into his writings, as a way to think in images when logical argument fails, as a form of spiritual guidance that predates Christianity, and as a perfect example of parabolic or indirect communication that invites the reader to interpret what is being presented in the text in order to think for him/herself and awaken the imagination. Fairytale is our first introduction into psychology and hermeneutics as children and allows our imagination to find a natural home; it is also a story with a moral; and it has the capacity for spiritual awakening and therapy. I will show how and why Kierkegaard inserts the fairytale into his writings, which contains aesthetic, ethical and religious value, looking specifically at Taciturnus’ preface or what he calls a Fremlysning to Quidam’s dairy in Stages in Life’s Way. First, I place fairytale between poetry and philosophy; second, I present Stages on Life’s Way as a mutilated fairytale and "totality of ruins"; and third, I explore the motifs of the mirror, the lake, and the forest that are given in Taciturnus’ Fremlysning. In an article from 1837, Martensen introduces the concept of apocalyptic poetry as a genre of speculative poetry. Apocalyptic poetry has two features: (I) it reveals the nothingness of the world, being an anticipation of the Day of Judgment; (II) it depicts human life in relation to religion’s absolute idea. Apocalyptic poetry is also the culmination of poetry, the form that marks the end of art. Four years later, J.L. Heiberg published the apocalyptic comedy A Soul after Death that can be defined as an example of a post-theatre work, no longer art, not yet philosophy. My thesis is that most of the essays of the first part of Either/Or (1843) can be interpreted as apocalyptic writings both in Martensen’s first and second senses. Moreover, Kierkegaard’s attempt to imagine a new Antigone is a post-theatre work, understood as the art of writing plots for unwritten tragedies. "Il genio non è un lumicino"
Almost the same age, Andersen and Kierkegaard lived for years within walking distance of each other. There is evidence of their little contacts, but trying to find mutual influences in two such different personalities would be useless. The first work written by Kierkegaard in 1838, though, was an essay on a novel by Andersen, Only a Fiddler, where the philosopher sharply attacked the writer’s Weltanschauung. Andersen took revenge in a play by ridiculing the incomprehensible language of Kierkegaard, whom, however, he had already attacked in his fairy tale The Galoshes of Fortune. The squabble was short and their paths continued separately from that moment, but the brief quarrel between two figures, destined to become – each one in his own way – symbols of Denmark all over the world, gives an idea of the cultural richness in the limited universe of Copenhagen at that time. In a first moment, I explain the idea of musical virtuosity as seen and experienced in Kierkegaard’s day, using mainly the example of Franz Liszt and Niccòlo Paganini. The illuminating consequences of the virtuosic performance for the issue of simultaneity of presentation and representation are analysed in detail. In a second moment, I provide commented examples of Kierkegaard’s use of the concepts of the virtuoso and virtuosity, as applied to Emmeline and her creator, Eugène Scribe, Johannes the Seducer and Judge William. The operational value of the concepts is also focused on the cases of the woman and the creative writer.